WASHINGTON, DC (October 23, 2018) — Broadcom Foundation and Society for Science & the Public today announced that Georgia Hutchinson, 13, Woodside, California, won the coveted $25,000 Samueli Foundation Prize, the top award in the Broadcom MASTERS®, the nation’s premier science and engineering competition for middle school students. 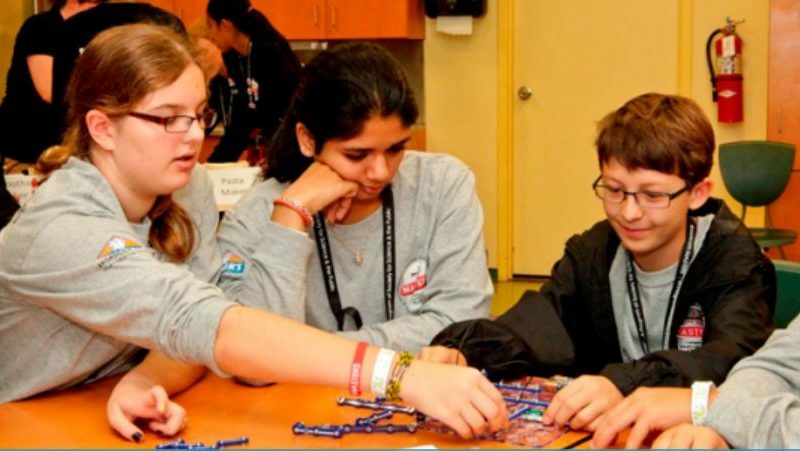 The Broadcom MASTERS (Math, Applied Science, Technology, and Engineering for Rising Stars), a program of the Society for Science & the Public, inspires middle school students to follow their personal passions to exciting college and career pathways in STEM. Thirty finalists, including Georgia, took home more than $100,000 in awards. They were honored during an awards ceremony for their achievements in science, technology, engineering and math (STEM) together with their demonstration of 21stCentury skills including critical thinking, communication, creativity, collaborative skills and team work.